Arnold Meri is being tried in Estonia for genocide during WW2. But in Russia the 88-year-old veteran is considered a hero, and streets and schools are named after him. Arnold Meri is an Estonian national who was awarded the highest state medal during the war. Estonia accuses him of taking part in the deportation of hundreds of his countrymen to Siberia after the war. If convicted, he could spend the rest of his life behind bars. 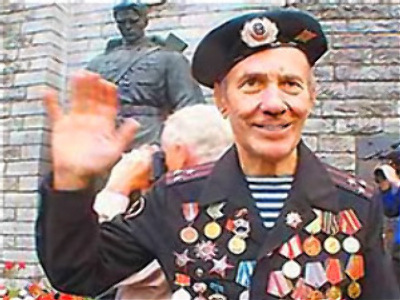 A village in Russia’s Pskov region is naming a school after the veteran. It educated the regiment under Meri’s command in 1941. Back then, Meri organised the region’s defences against the invading Nazis. He was wounded several times in action. And the city of Gorno-Altaisk in Southern Urals is giving Meri’s name to a street. He lived there after he was stripped of all honours in 1952. Meri says he was accused for his criticism of the very deportation he is now being tried for in Estonia.